OnePlus has become a much more visible brand with the launch of the OnePlus 5 than it was 2,3 years earlier. Then, the company in its infancy promised a lot of things and couldn’t keep some of them. One of them was Android 7.0 Nougat for the OnePlus 2. The then flagship went on to stay on Marshmallow and the company eventually backtracked on its promise. However, the OnePlus 2 had a huge developer community and there were hopes of an alternative to an official ROM. With Lineage OS, that hope materialized. And once again, the two-year-old device is getting an unofficial Android Oreo build with Lineage OS 15. The latest development comes after Lineage OS 15 ROMs were reported for the Mi 5s and Mi 5s Plus recently. These Oreo-based builds are however in early stages. 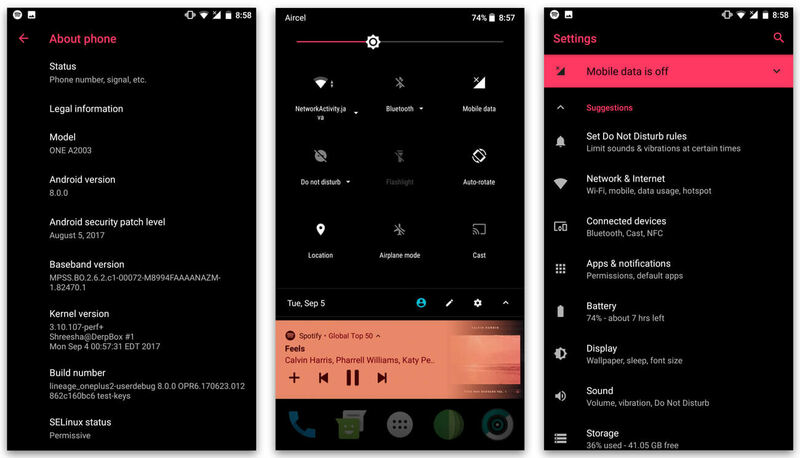 XDA Recognized Contributor Shreesha.Murthy is to credit for this OnePlus 2 LineageOS 15 build. The dev has made it clear that this is an early Alpha version. As such, camera, alert slider, offline gestures are not working. So, if you are a photo snapper, you might want to hold it off for some more time. Other vital features like Wifi, Bluetooth, fingerprint scanner, VoLTE and sensors work just fine, according to the dev. Everything is working now with few minor bugs. We will guide you through the process in a short step by step manual below. If our readers want to know how to unlock the bootloader of the OnePlus 2, we have a separate guide here. And guide for TWRP installation on OnePlus 2 is here. Note: Sometimes, installing a custom ROMS leads to a bricked device. Therefore, we urge readers to do their own research as well before moving forward. Devs-lab.com is not responsible for anything that happens to your device. 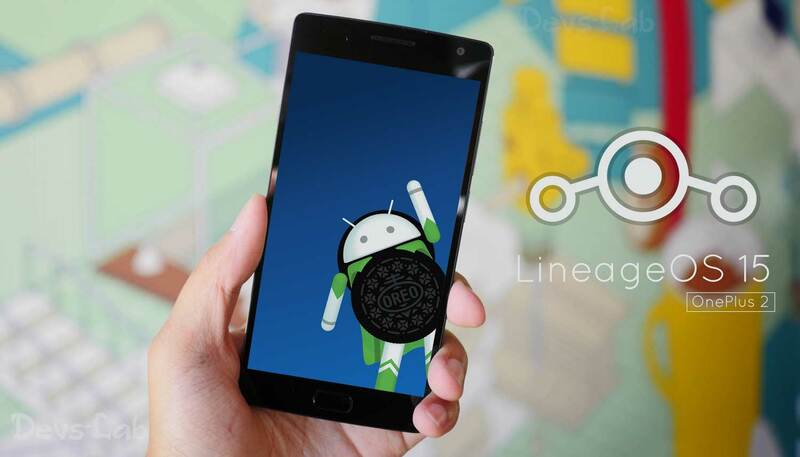 Follow the steps below to install Lineage OS 15.0 Alpha build based on Android 8.0 Oreo on the OnePlus 2. 6. Now, swipe the button below to start flashing. Once the ROM is installed, reboot your device. A. You can but I won’t accept bug reports or help anything related to that. Q. Can I flash OpenGApps? Q. How do I enable AOD? Q. How do I switch back to stock color accent? So, that’s it, guys. Be sure to let us know in the comments below if you liked the build or if you found some new bugs. Also, follow us on social media to get regular updates from the world of Android. Latest Web Intelligence report for Q2 2017 reveals current Smartphone trends; Android Rules!